So I received the HDC Note 2 S7100 from Fastcardtech few days ago and have been using this for the past 2 days. This phone is also known as the Star N7100+ because of there is a label N7100+ under the battery. Star has 2 versions of this phone. A cheaper 512mb ram version and a 1gb version. Flight Mode: After switching to flight mode it gets stuck in flight mode till battery is pulled. Touching the icon switch does nothing after that. After phone is turned on, you need to go to SIM Management in the Settings to re-enable the sim card. Data Connection Switch: After I disabled connection, I cannot re-enable it. After battery is pulled I still cannot re-enable it. After several battery pulls and reboots, it comes back. (the switch is highlighted all the time even thought data connection is not activated). I dare not disable it now since I don't know when I get it back when I want to enable it. Proximity sensor flickers on and off all the time so you get a flickering flashing screen when you make or answer a call. Fixed. In Settings>Display, there is a proximity sensor calibration feature. Wifi signal is good. I was at a place with unstable wifi signal before, so it did not give me a good signal. GPS is good with the phone discovering 12 satellites in less than a minute and locked on several seconds after that. These issues puts it into the DO NOT BUY category until they fix the rom. All the bugs seem to be in the connectivity switches. 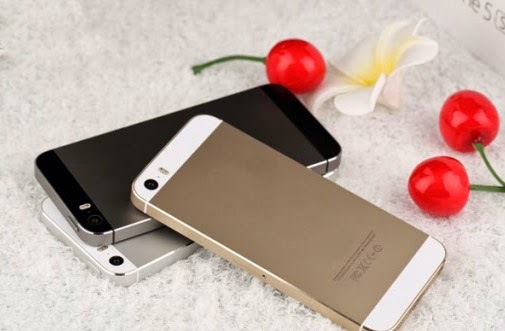 The rest of the phone is very very good, fast and responsive, and I mean iPhone smoothness, which is a real pity. I have just found a rom and hopefully it will fix these issues. I will release a youtube video of this phone in a day or 2 after I have tested the new rom. The newer batch may have already been fixed but I will not hold my breath. So still in number one spot of my recommend Note 2 clones is the HDC Note 2 Ex. Stable ROM found and tested. Everything is fixed and is great. Go ahead and buy it. Another reader reported good rom on a more recent order. Will post ROM and recovery (english) links tomorrow. Pity. I had hoped this would be better. Looking for a replacement to my aging ZTE Blade and I like the form of the Galaxy Note clones ~£100-150. I would though prefer one with 1gb RAM and a good following regarding custom ROM/fixes. I still have not found any rom updates. I found more problems with the ram so please stay away for the time being. Just use the links I provide and you will be fine. I wouldn't touch that. There are no 5.5 inch screens on these phones and the resolution is only FWVGA which is too low for the size. You can eliminate the risk by buying the HDC Galaxy note 2 which is discounted now with the same price from Fastcardtech. 512mb ram and stable operating system beats a 1gb ram phone with buggy os. Last thing... there is no such thing as a 5 mp front camera. If the free shipping logo is displayed then shipping is free even the phone is less than $200. $200 free shipping applies to all phones (selected countries). The hdc note 2 has got free shipping. $20 extra for shipping is worth it because if order from another place and get a crap phone then you would have wasted $180 which is worse. All this Chinese phones have network issues in India ? Just got mine in today. Saw your site. Looking forward to ROM. Been playing with it all day, it's lightning fast. I got the 1gb version they have up now. Very very pleased. Geia sou patrida Xronia ! APo pou to phres kai poso kairo ekane na sou rthei ? hello, its interesting reading some review here,, i want to buy hdc galaxy note 2 but there is 2 option between hdc galaxy note 2 (1 gb ram)and hdc galaxy note 2 ex (2 gb ram) what the best do you think? The note 2 ex is actually the Zopo 900 leader and a very good phone with zopo ROM updates. It has 1gb of ram (not 2gb). If you want Jelly Bean right now then n7100+ is the phone to get. I'm wondering if the screen is IPS? Can you confirm? Please? Can you pls upload somewhere the rom because i cant find it ? Search my new post. The ROM link is there. This phone has a different battery to a real Note 2. 1400mAh battery is really very small. My star S7180 came with 2800 mah batteries. Looks like you have been cheated. Have you tried to charge the batteries using an external universal battery charger? I think you should send the phone back because it is highly unlikely to have both batteries die at the same time. My phones are all from fastcardtech. I bought one from merimobiles in the beginning. Hey Greg, sry I didn't read the above post in green. I did email your personal acct. please disregard and respond to my post.